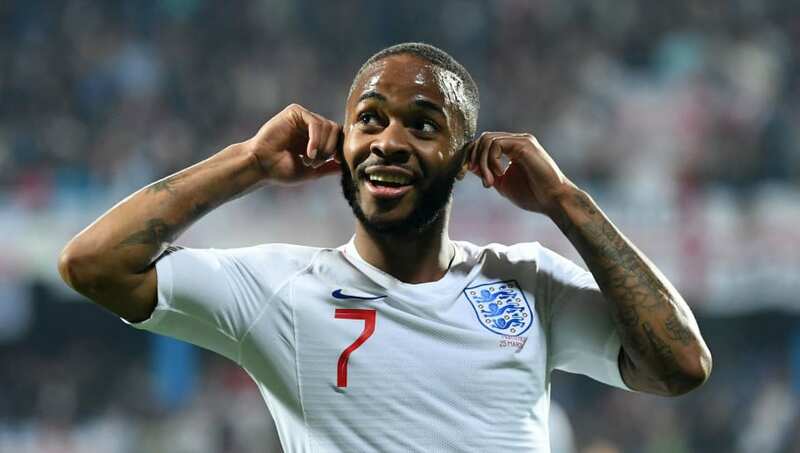 ​Manchester City and England forward Raheem Sterling has said he doesn't agree with the suggestion that players should walk off the pitch amid racist abuse, arguing that doing so would be 'letting them win'. The 24-year-old has become a central figure in the fight against racism this season, speaking out against unfair coverage of black players in the media after he was allegedly racially abused during ​​City's match with ​Chelsea at Stamford Bridge. He then stood defiant in similar circumstances after a number of England players complained of racist chanting during their win over Montenegro, leading many in the media to suggest that should players find themselves subject to such abuse, the players should leave the field of play. In his latest input on the issue, however, ​Sterling said that, while others are entitled to their views, he feels walking off would only validate those giving out the abuse, and that winning the match and standing tall at full time is the best way to combat the hate. “I think everyone’s entitled to their own opinion,” he said, via ​The Mirror. “My mum has taught me how to love myself, how to love my skin colour and how to be comfortable in my skin colour. “I wouldn’t personally agree with it (walking off the pitch). At the end of the day, I would rather go and win the game because that would hurt them even more. “They’re trying to get you down, if you do walk off the pitch as a group then that makes them win.